Metal case. Rose gold-tone metal bracelet features a jewelry clasp closure. Round face. Three-hand analog display with quartz movement. 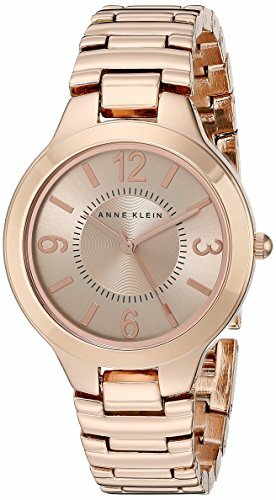 Light rose-gold tone dial features rose gold-tone hour markers and hands, a black minute track, and Anne Klein detailing. Comes with an extender link. Water resistant 100ft.